Perfectly straight road, not another car in sight, never took my eyes off the road for longer than it takes to read the speedo. Crossed 160k on my way home from work. It’s highly unlikely I will see 170k with this car with the issues it is developing so that will get to be the next owners first major milestone. If it wasn’t for the blown synchro, dying input shaft bearing, (small) rust spots on almost every body panel, and the countless rubber bits going bad because they are 15+ years old I would probably drive it past 200k. 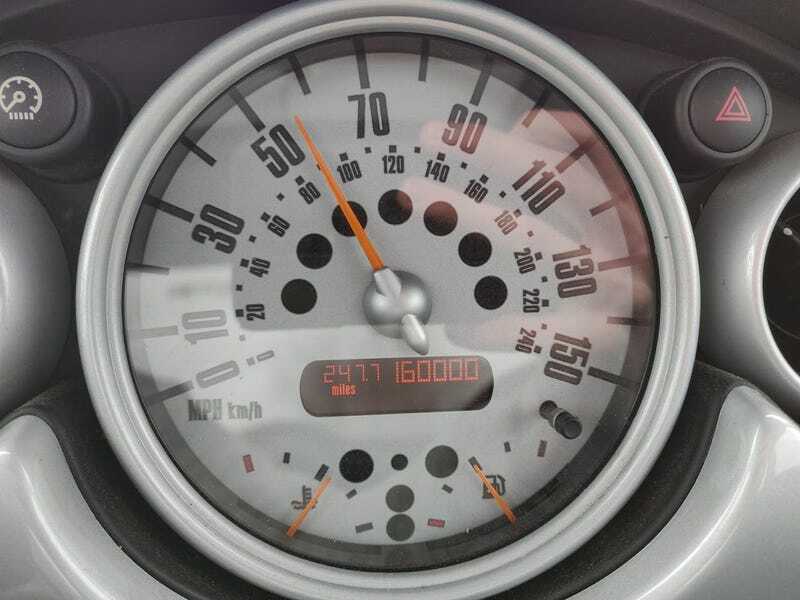 I also think this officially makes the Mini the highest mileage daily driver my family has owned in my lifetime. My Corolla had ~156k on it when my dad disposed of it at the dealer when buying his first BRZ and I think the next highest would have been my dad’s 03 Impreza which had 12xk on it when he sold it. Next highest in the current fleet is my sister’s Impreza at a whopping 37k.